Overhead view of an eastern facing Spectra showing the three distinct prism beams created during the day. This shot was taken during a period when all three spectra are visible at the same time. 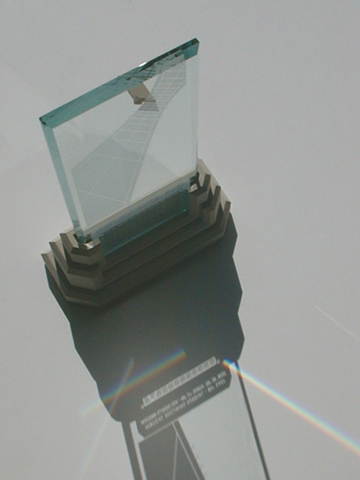 All Spectra sundials produce splendid prism beams throughout the course of the day. Read a vivid description of the wonderful saturated colors here.